Stripe makes it easy for developers to accept credit cards on the web. PayPal is an online payments and money transfer service that allows you to send money via email, phone, text message or Skype. They offer products to both individuals and businesses alike, including online vendors, auction sites and corporate users. PayPal connects effortlessly to bank accounts and credit cards. PayPal Mobile is one of PayPal’s newest products. It allows you to send payments by text message or by using PayPal’s mobile browser. Why do developers choose Stripe? Why do you like Stripe? Why do developers choose PayPal? Why do you like PayPal? Why do developers choose Killbill? Why do you like Killbill? What are the cons of using Stripe? 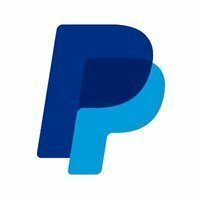 What are the cons of using PayPal? What are the cons of using Killbill? How much does Stripe cost? How much does PayPal cost? How much does Killbill cost? What tools integrate with Stripe? What tools integrate with PayPal? What are some alternatives to Stripe, PayPal, and Killbill? Recurly - Subscription Billing. Zen Simplicity. Chargebee - Lets you bill, manage and understand your SaaS or subscription based eCommerce business easily. Stripe has been developed for web users not by banks just moving bank apps to web. Their APIs are easy to use and understandable and they have support for lots of languages. They are also incredibly flexible and it's possible to do things with Stripe that other providers don't allow (for example implementing annual billing it's difficult to get authorisation as a start-up - even if it's only $20 a month, that's $240 annually which means there's a year to charge-back - so implement it as a one off payment, which does mean doing annual billing yourself, but there's a year to get it right). They also have fantastic start-up deals (if you know the right accelerator or other provider) easy to get transaction fees waived. They also have engineers at hand to help you with any issues, who actually know the product. Paypal comes with tons of old APIs, and new ones that are incomplete. There are bugs in the documentation, bug with their implementation. And their support department is completely clueless. Frankly it is only good if you use its light mode: a direct payment with no recurring fees. So forget about it if you want to put in place things like Subscription mode, their are better players out there to do that. I love Stripe. They were super, super easy to set up — it was less than 5 minutes and I could already put test payments through my app! They take a huge chunk off of small transactions (if you're only charging $3, you only get $2.61), so they kind of make you raise prices on small fees. However, I love not having to worry about security or managing anything, just getting paid! 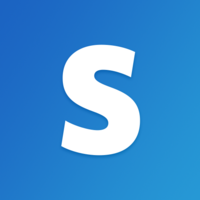 Integrating Stripe to your app is dead simple. 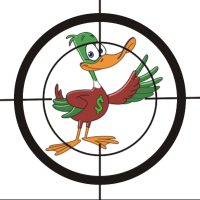 It removes all the hassle of integrating with a payment gateway. Its API is developer-friendly and intuitive, reliable, and works all the time. It’s my payment gateway of choice. PayPal is used as one of our payment-gateways included in our shop-solution. We only use PayPal for direct debits/charges from bank-accounts as we got Stripe for credit-card transactions. CC handler for our membership system. It was an easy choice for how quickly we were able to implement it, as well as the disputed payment process. Recognized by millions of customers as the most secure and reliable platform, we giving options to the customer on how they will subscribe. Donations are processed through PayPal, mostly. So it's a pretty indespensable tool, as it's our main source of income. PrometheanTV utilizes the Paypal Payment services to provide various e-commerce and payment related features.